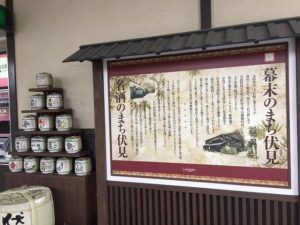 Fushimi in Kyoto provides one of the most delicious Sake! Fushimi in Kyoto is one of the famous place for Sake in Japan. 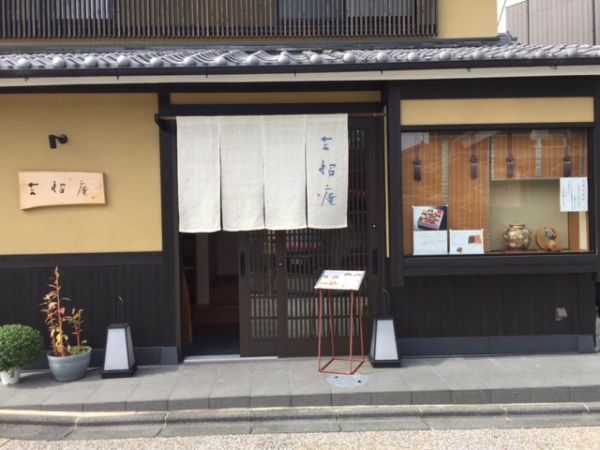 Compared to the another famous place, Nada in Hyogo prefecture, it is said that Sake in Kyoto is milder and sweater. If you visit Fushimi inari shrine (which has many red gates), Sake breweries in Fushimi are just around the corner! How gorgeous building it is! And it’s very traditional Japanese Sake brewery. Gekkeikan means a laurel wreath, the winner of the Olympic games had received long time ago. 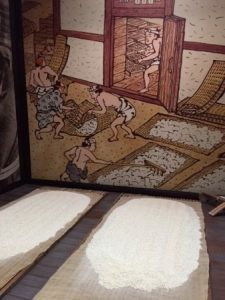 Sake is made from only rice and water, but we can learn it has the long process to make delicious, like the wine or whisky. Even though the tools are something new nowadays, the process of making is same as 380 years ago. 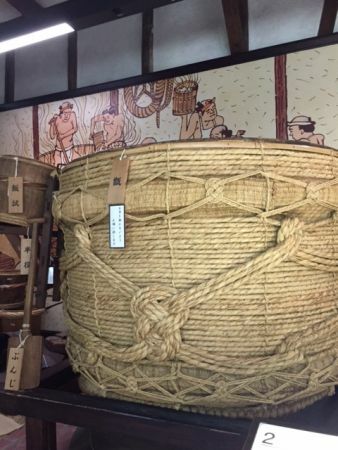 If you reserve one day in advance, a volunteer staff will explain the process of making Sake showing the traditional tools and factory which had been used in Edo period. They showed us some kinds of rice used only for Sake making. One of them called “Iwai”, the happiness is the typical one in Kyoto. 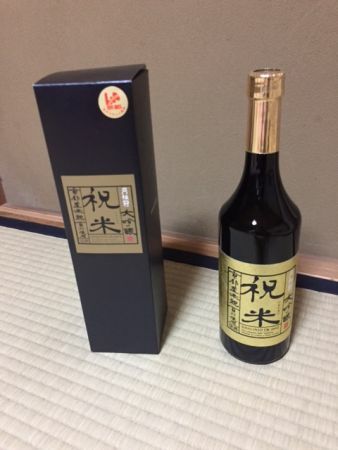 This special Sake “Iwai mai” is made from 100% Iwai rice. Gekkeikan has the largest brewery in Fushimi Kyoto area. We can try tasting 3 kinds of sake here and they also have the shop of Sake in the museum. The traditional boat called ”Jikkoku bune” is floating on the narrow river near Gekkeikan Sake brewery. I guess it’s more beautiful in the spring cherry blossoms are flowering. 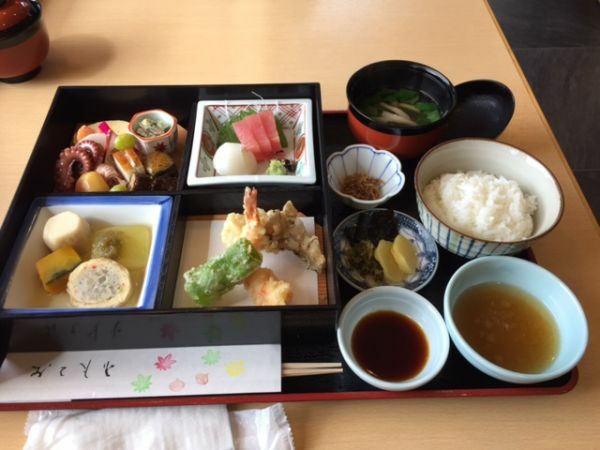 We’ve found a nice Japanese restaurant beside the river. It was almost full people on the seat at the lunch time. 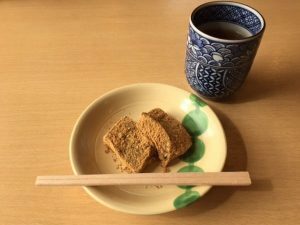 Warabi mochi, Japanese sweet served at the last was also great! Kizakura means yellow cherry blossoms. It’s one of the Fushimi Sake brewery as well. Of course, we can learn the process of making Sake here also, but I was surprised to see their collections of Kappa (river sprite). 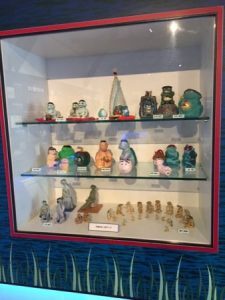 Since their mascot is Kappa on TV Commercial, they have made the museum of Kappa next to the brewery. 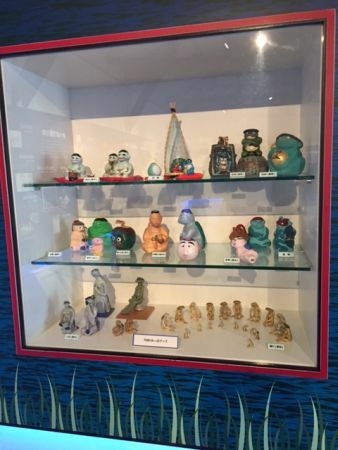 Talking about Kappa, it is often used for the company name or trade name in Japan. 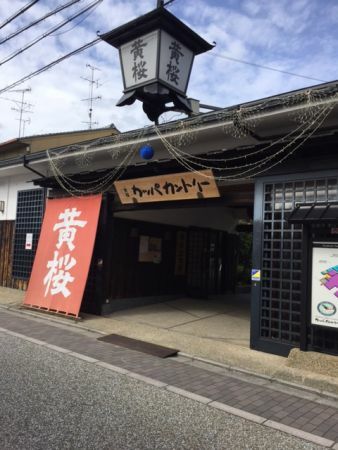 For example, we have the famous “Kappa Sushi” restaurant. Surprisingly, we also have the tea container for summer tea ceremony called “kawataro-“, which lid is dented like the shallow plate on the head of kappa. Water for Sake in Fushimi Kyoto all come from this silent shrine, Gokonomiya. 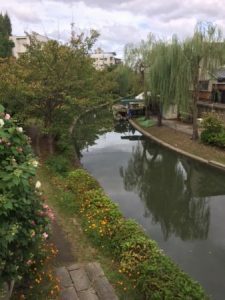 It’s near O-tesuji shopping mall. 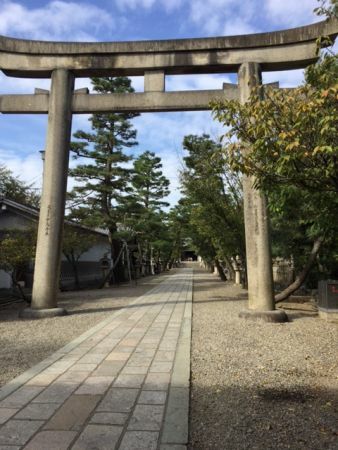 The water gushing out from this shrine has been thought as the special one since Heian period (794-1192). It was thought to be effective for healing diseases. 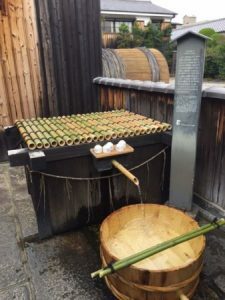 Now all Sake breweries in Fushimi use this water. The hardness of the water here is arounf 6-7, milder than Nada in Hyogo prefecture. This is the water in Gekkeikan museum. 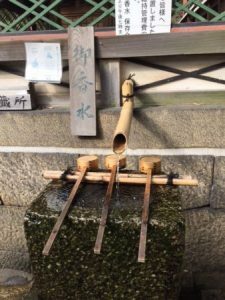 This important water decide the taste of Sake. We can try drinking in the museum, too. 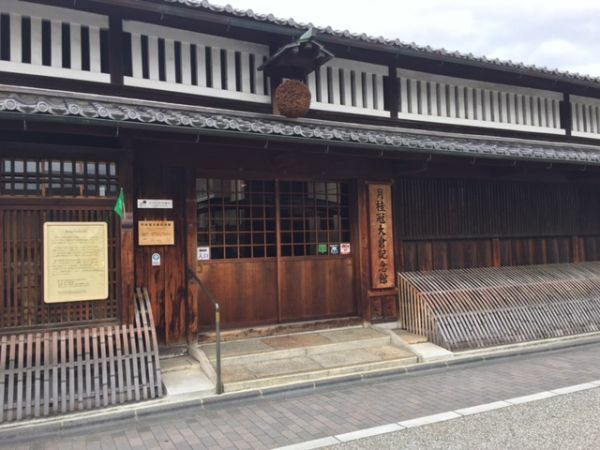 Teradaya Ryokan, Ryoma Sakamoto was about to be killed here. 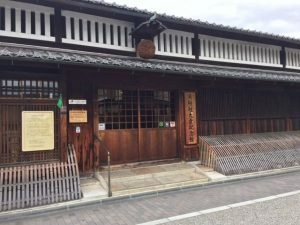 Look at this traditional building! 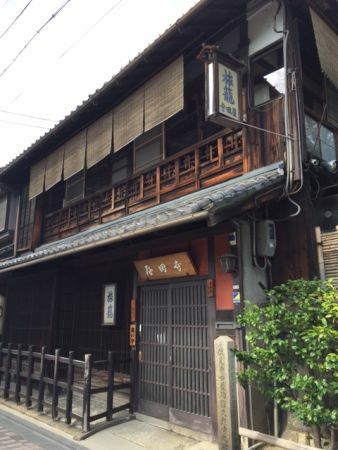 It was the old Ryokan (Japanese style hotel) since 1597. It is said that the original building was once destroyed by the fire, but still it remains the atmosphere of the historical place. The popular Samurai, Ryo-ma Sakamoto was attacked by the enemy in the south of Japan when he was staying with his girl friend. They narrowly escaped death, but 9 samurai died here. 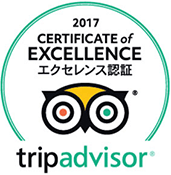 It’s worth visiting near Sake breweries, but it’s better not drink too much before coming here since the staircases are quite steep. The sweets made of Sake! It’s vanilla ice cream with Sake aged for a long time. Talking about Japanese Sake, we won’t keep so long time usually. So it wasn’t transparent but yellow and a little smoky like the whisky. I think it’s difficult to drink naturally, but it became really delicious if we mix with the sweet ice cream! They are nice couple! 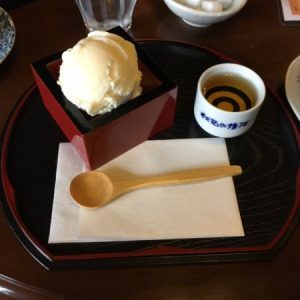 I remember I have made Sake ice cream at home in winter. I’d like to try again. 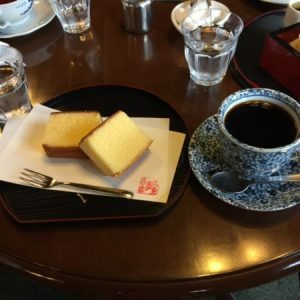 Castella (sponge cake), Sake kneaded in the dough was also soft and delicious. It slightly has the smell of Sake. Even if you can’t drink sake very much, I think you will like these sweets. Sake breweries are just 5 minutes walk from Chu-shojima station of Keihan line. Gokonomiya shrine is nearer from Fushimimomoyama of Keihan line or Momoyamagoryo-mae of Kintetsu line.